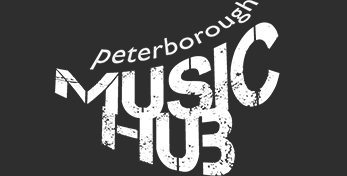 Peterborough Music Hub/PHACE will seek to work closely with all Secondary Schools and Academies over the next twelve months offering a wide programme of events and activities for young musicians and other creative individuals. This project will encourage local Secondary Schools, Special Schools and Academies to share a performance opportunity and skills in a series of workshops leading to a performance celebrating musical achievement and talent. The event is aimed at Year 9 students and will follow the successful format of the Music Hub’s spring 2016 project led by Britten Sinfonia. The project will be limited to four schools and will require a minimum of 30 students from each school. Participants should include both players and non-players. Peterborough Music Hub/PHACE will launch a programme of events to support the creative development of Young Producers in Secondary Schools/Academies. A series of workshops will guide students through the process of event planning and promotion, including sessions with industry professionals and city venues. The workshops will be offered as extra-curricular events and will provide practical support to students studying event planning as part of their curriculum studies.